Compex TENS/Heat Back Wrap helps to temporarily relieve back pain. Suffering from low-back pain? 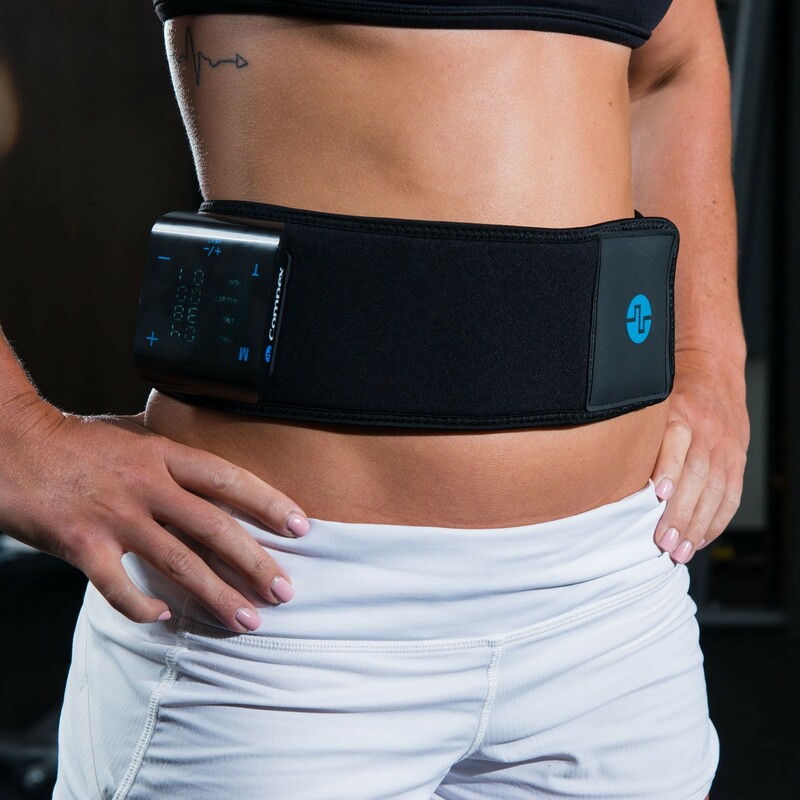 Help relieve chronic or acute back pain with the Compex TENS/Heat Back Wrap. The Compex TENS/Heat Back Wrap delivers compression, warmth and tiny electrical pulses to help relax and ease back soreness. Whether your pain is from exercise, household work, work injury or day-to-day activities, select one of the eight pre-design modes in the TENS unit to help recover quickly and reach your fitness goals. The Compex TENS/Heat Back Wrap is universal heated back wrap that connects to the Compex TENS/Heat Unit. Featuring innovative technology, the Compex TENS/Heat Back Wrap and TENS/Heat Device offers eight pre-designed modes desinged to temporarily relieve low-back pain. The easy-to-use touch screen allows you to choose your program, intensity, and level of heat. The TENS and heat treatments can be used separately, however, the combination of heat and TENS has been proven to be more effective for pain management. The TENS/Heat Back Wrap is easy to put on and can be worn before, during or after activity. TENS (Transcutaneous Electrical Nerve Stimulation) are tiny electrical pulses delivered through a device which can help alleviate pain through two different means. By stimulating the sensory nerves TENS produces high levels of endorphins to help ease body pain. The other method of pain relief, known as GATE Control Theory, works to block pain signals to the brain. To clean wrap, remove unit, hand wash and air dry. Inches 25 - 37" 37 - 43"
Wow....just got mine and works great for lower back pain. Easy to use because no wires or sticky electrodes. Works like a back brace for easy on/off, but includes tens & heat. Also, easy to charge using microusb cable. Only negative is control unit. Sometimes I hit front and change setting while walking or sitting. Thanks some much for the detailed review and feedback for Compex TENS Back Wrap. To help with the control panel issue, use the lock function to lock in your settings.